Grey rising two colt by SABEH AL SALHIYAH. Excellent flashy mover who would be well suited to both endurance or has the confirmation for the show ring. Fully registered with Arab Horse Society. Lives beside mares with no problems but can be gelded if required. Only for sale due to downsizing. Half brother and mares also available. 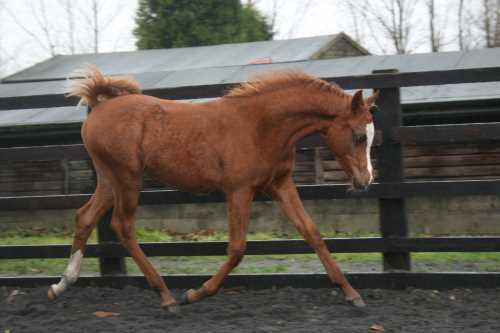 Quality Part Bred Arabian weanling colt. Aspire Oberon has fantastic movement and great conformation. 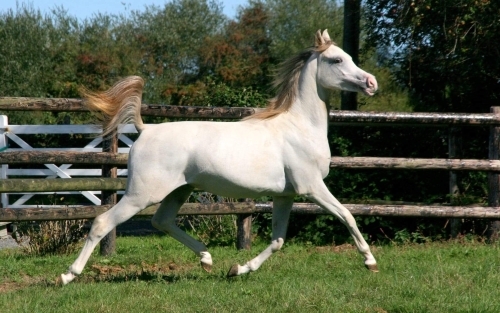 His sire is top quality Arabian show stallion SG Indigo, bred by Susan George of Georgian Arabians. SG Indigo achieved 4th place at the British National Championship as a novice ridden stallion. This was his 3rd show and his only year out showing as he returned home to stud. Oberon's dam Primrose Pride a Part Bred Selle Francais has been trained up to medium level dressage at home and has competed in unaffiliated dressage with placings and wins. She also loves Cross Country and is a careful Show Jumper. Her sire is the French National racing champion Soir D' Avril sire of 4* eventers, and her dam is Courtland Erin Whisper a quality show pony brood mare. Primrose's other colt Tchibo whose sire is Ragazzo competes in affiliated dressage with high scores. 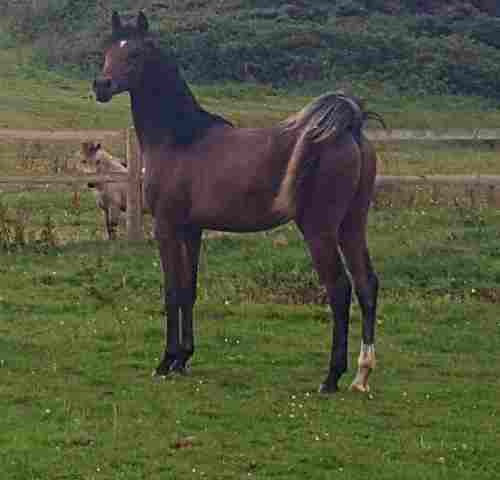 Oberon is available in December after weaning and would be a good all round prospect for showing, eventing, show jumping, dressage, and endurance. Beautiful looking yearling colt,full of quality. Fully registered AHS UK and Passported, wormed regular, farrier every 8 weeks, all injections up to date. 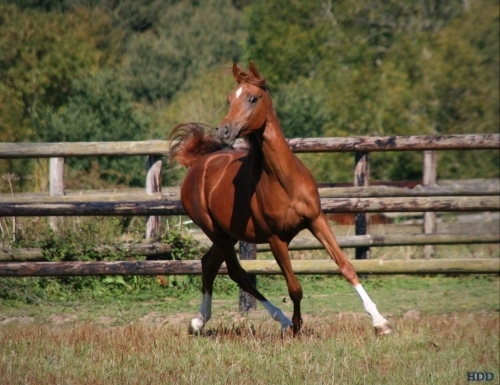 This stunning colt has wonderful temperament and attitude will excel in right hands. Nice head, huge eye,top line,good legs and action. A top quality yearling show colt.,both parents major prize winners in Europe. Nice temperament,fully wormed,vaccinated and has farrier every 8 weeks. His full sister attained 90.50 points at major European show a few weeks back. Rugged and will be ready for next years shows. Good home sought for this beautiful boy. Registered AHS UK and passported. Have you ever dreamed of riding your own black stallion? Now is your chance. This yearling colt has his father's super temperament and has potential to Show Ride and Breed. Rising 2. Will be substantial when grown, he has lines to Ali Jamaal, TW Bey Fantasy, Thee Desperado, Simion Shai and Char Nigre. He is SCID CA & LFS clear by parentage. In his winter woolies, he cam be seen in Sussex. Only for sale as I have his father. 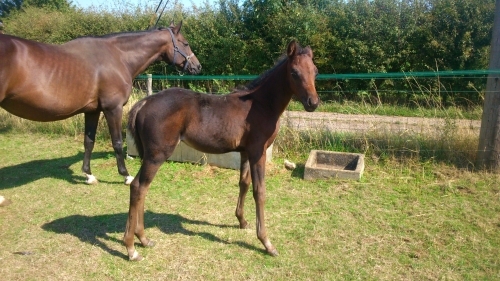 Straight Egyptian yearling colt with pyramid society certificate. Very pretty boy with lovely temperament, expected to mature around 15hh. Very showy, walks out with tail over his back. Straight mover, no lumps or bumps. Not coltish. 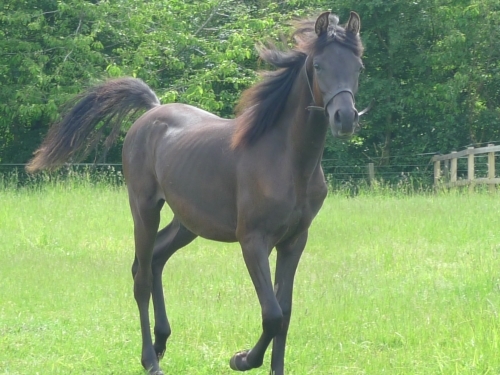 Magnificent black pure bred top quality Arabian show colt with no white markings. Born 2017. Currently being tested for homozygous black. His sire SG Indigo and dam SG Isscia bred by Susan George, Georgian Arabians. Stunning beautiful and very correct with outstanding movement and an exceptional temperament. Turns out all day with a standard Shetland gelding and a miniature colt, with mares in the adjacent fields. Full sibling filly exported to Europe. Tall bay colt 19 months old and currently standing at 14.3hh so should make around 15.3. Super temperament and movement but does have 1cm blemish and splint with should shrink as he grows. This is reflected in price. Currently rugged and shares a field and shelter with a mini stallion 2 mares and 2 geldings. Never been lame, open to vet. Looking for a 5 star long term home for this special boy. Very correct beautifully bred 2017 colt. Leo is without doubt the easiest foal I have ever been around and I can literally do anything with him, he is handled daily and truly is a joy to be around, in and out of the stable. He loves a fuss and a groom and is a great traveller. This is a sad sale for me as I have really bonded with this boy and he will be big. Leo will be a superstar in the showring as he is full of snort and blow and his tail is always flagged. He has just been weaned and is ready to find his new home. Stunning 2017 colt foal, chestnut with flaxen mane starting to come through very eye catching, expected to mature over 15hh. He has the easiest temperament of any foal I've ever had, quick learner and will do anything for a scratch. Out of the straight Russian mare Ruth OD he has her big Russian movement and by my stallion Fine Design SR a son of Master Design GA out of a Psynergy daughter so has great bloodlines. This colt will do anything, will show in hand but will look fantastic under saddle in the future, either endurance or ridden showing! Looking for a loving home as this is a hard sale as he really is my easiest and friendliest foal. Was shown at the nationals and he flew round the ring as well as winning his class at the south east summer show, loaded and travelled well. 1500 ready to wean now, passported and registered. Happy if new owner wants to castrate doesn't have to be kept entire.